David and Trish Dunn started Sabre Connect (formerly Sabre IT Solutions) in 1999 in Brisbane, Australia. David and Trish are members of SMBiT and David is also a member of ITPA and regularly attends training and meetings to keep informed of advances in the industry. Their personable but professional approach allows them to tailor solutions according to each individual customer’s needs. Rather than using a one size fits all approach for every client. Sabre Connect services a variety of industries including retail, manufacturing, agricultural, finance, professional, education, service and not-for-profits. Their clients are mainly based in Brisbane but also have satellite sites across Australia, New Zealand and South East Asia. They enjoy a closeness to the community and support local businesses and schools. The company marquee can often be seen providing shade and shelter at School and Community events in the area. 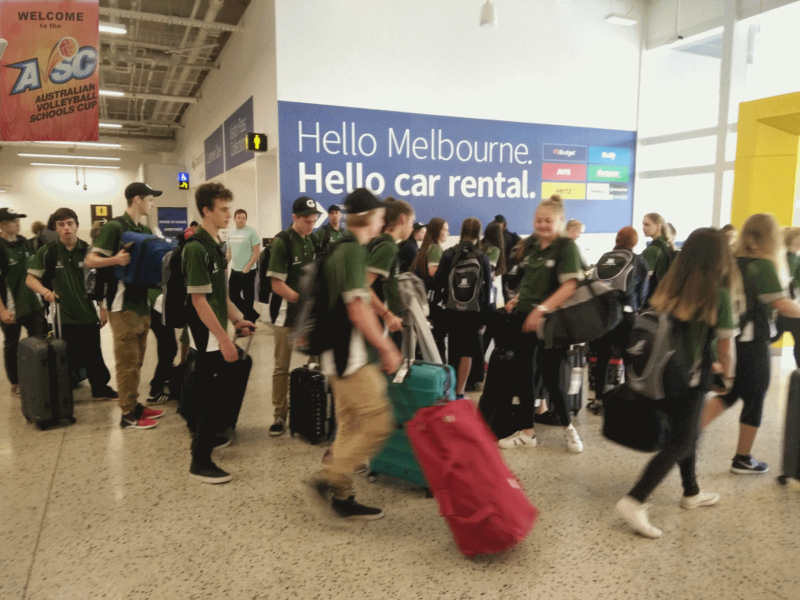 Congratulations to the Gap State High volleyball players and coaches on their great results from the Volleyball Schools cup trip to Melbourne. David holds a Bachelors Degree in Technology Education from Griffith University, a certificate of Applied Science in CAD, and is also a 4 year trained, Trade certified Automotive Electrical Fitter (Auto Electrician). He is committed to delivering solutions that enable customers to get the most from their investment, and to allow people to just get on with what they do best. Trish holds a Graduate Certificate in business from QUT where she spent many years as PA to Prof Vicki Sara, and later as EA to Vice Chancellor Prof Peter Coaldrake. Her high level organisational skills keep all our projects on track and on budget. Often the first person on our support response, Trish will provide patient, reliable help to resolve the most demanding problem. Venetia is a Certified Public Accountant and has spent over 20 years refining her accounting and business management skills working in both private industry and public practice. Venetia has extensive knowledge of dealing with many of the behind the scenes tasks in a business and is proficient in all areas of bookkeeping. Venetia is looking forward to working with our existing clients and our perspective new clients.